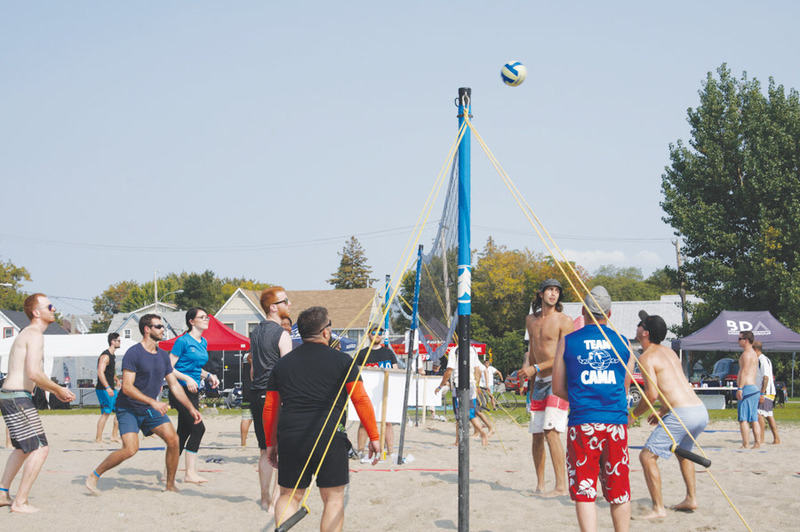 The volleyball season at Parc des Cèdres was launched, May 21. The Corrid’art community group invites Aylmer citizens to come to the Parc des Cèdres every Monday, Tuesday and Wednesday evening, starting at 6:30 pm, until October. There is league play on Saturdays at 2 pm. Game time is free and regardless of any player’s level (men and women) they are welcome to join, says Gilles Pelletier, general manager of the non-profit organization. He expects 2018 to be “a big season”. Corrid’art is organizing a one-day, all-day tournament, July 16. Registration fee is $240 per team, which works out to $40 per player. All money goes to Corrid’art’s fund-raising. The team coming in second will win $250, and the first-place winners, $500. Registrations are first-come first-served, with a limit of 20 teams, and run from June 1 to June 23, during the volleyball mix-match evenings. Teams can also enrol at any time at Café Mulligan. In case of bad weather, the tournament will be postponed to the following week, to July 23. The Corrid’art organization has both an artistic and a sports component. Local businesses Bistro Mexicana 129 and Garage Grande Rivière have donated a third net and matching ball.